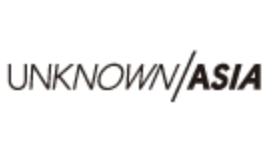 Sónar is growing and growing every year and this has a deep influence on the artist line-up, where is really difficult to keep the title of Advanced and Multimedia Festival and slightly turn into a more mainstream type of Event. But Sónar succeeded and this year line-up was exciting and the presence of new and cutting edge proposal was powerful and important. So just to start and early in Thursday the Sónar Hall, which I must said is such a beautiful space at the new (1 year ago) but already consolidated Sónar dy Day at the Fira in Plaza Espanya, was blessed by the young composer and pianist from Germany Nils Frahm, the artist with a beautiful set with classical piano and synthesizers, orchestrated his set jumping from keyboard to keyboard in frenetic action, and the sound was clean and clear, with some powerful bassline. 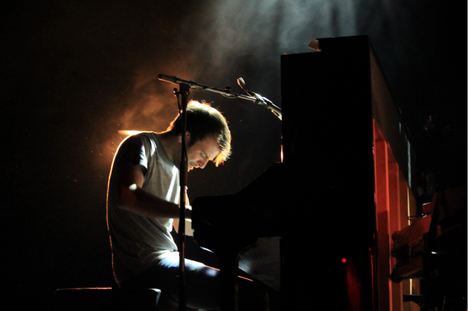 It was too much and too good just to start the festival and the audience responded with huge ovations to Frahm who was literally dripping sweat on top of the pianos because he was committed to give everything and show his incredible talent and so he did. It was only Thursday but the people showed up early at the Fira and there was a happiness feeling in the air, the people have being waiting for the whole year to attend the Festival, and really early on, the Sónar by Day was crowded, but now is so easy and enjoyable to be in this new Fira space that there is space for everyone and moving between the various Stages is better than ever. 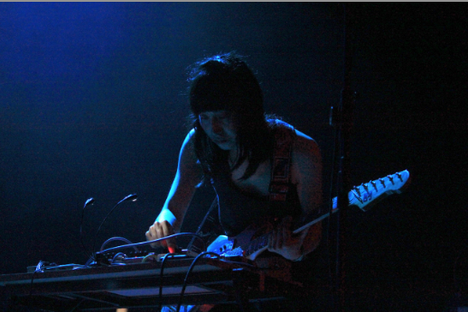 Second show we attended was the Japanese band Nisennenmondai the trio that sacked the SonarHall with their electronic beats created with a rock structure (drums, guitar, bass), their show is a non stop progressive dance rhythms with a bit of Kraut and post punk attitude. 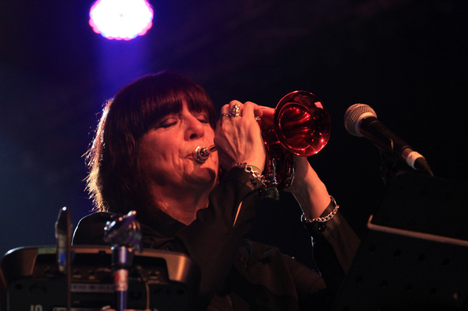 As I wrote at the start of this article, Sónar won the battle between the mainstream and avant-garde proposals to keep healthy the advanced music festival title, so with this there are no better example than having 2 legends and pillars of the music experimentation for many people (including myself) the real headliners of this Sónar edition Chris & Cosey who are Chris Carter and Cosey Fanni Tutti from COUM Transmissions and Throbbing Gristle, the veterans gave a lesson of electronic music from EBM, industrial and techno. Simple but raw, loud and intense. Really it was great to be able to see this performance by these music totems. 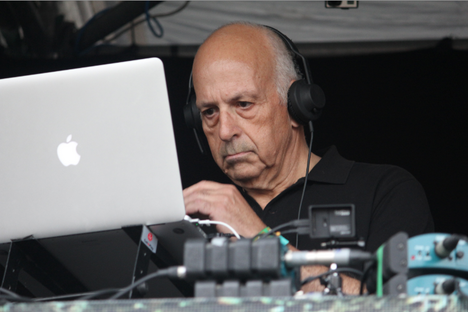 The outdoor space Sónar Village presented the Dj set by the influential Daniel Miller head of Mute records. The producer, musician and Dj presented a well accurate set that was enough to make the people dancing under the sun at the SónarVillage stage. Time to discover the BEST stage or space of the whole Festival, where the most unique and special performances were held. The SonarComplex was the name for this comfortable and majestic auditorium which was a perfect place for escape the heat and the multitude to relax in a chair and see the most adventurous concerts in this Edition. The Complex started hard with the presentation of the Australian Ben Frost in a Live show empowered by two drummers on set, Frost on center and the drummers on the both sides facing each other. Frost pushed the limits of the sound equipment at the Auditorium, powerful and merciless, with sharp rhythmic percussion to white noise to complex sonic environments. After we left the sonic experience at the Complex, it was already dark and the Village was crowded for the return of one of the Festival favorites, no other than Richie Hawtin this time with his alias Plastikman presenting Objekt as a European Premier. 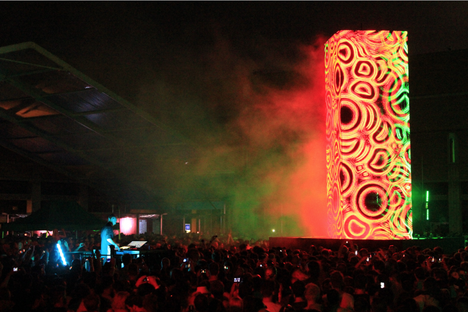 For this concert, Plastikmant suddenly appeared in the middle of the Village Open area, in the middle of the crowd supported by a big Obelisc Totem that was sync with the music with abstract visuals and game of light. This was an epic ending of one of the best SonarbyDay that I remember. 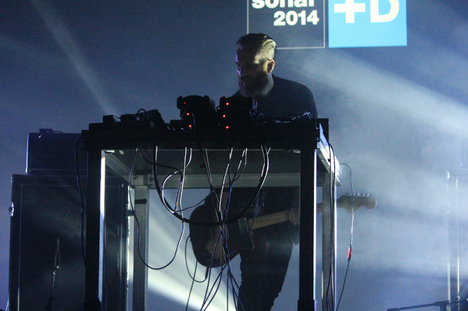 If the first day was dominated by the SonarComplex abstract music, the second day followed with the same quality starting with the incredible performance by another Australian. 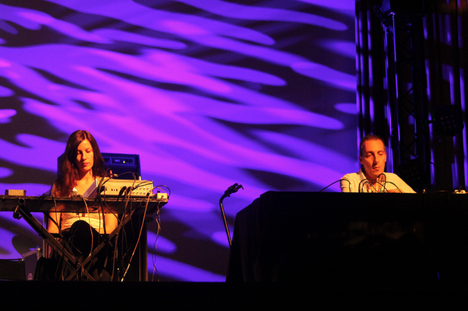 Oren Ambarchi presented “Knots” a special production between Sónar and Polish festival Unsound. The composer supported by 20 musicians by Cracovia Sinfonietta lead by Eyvind Kang and Joe Talia on drums was delightful and special. After this show, and intrigued by the big buzz that was created by the special presentation “DESPACIO” created by James Murphy and 2manydjs with the sound systems from the american company McIntosh. This unique presentation was a disco-dance universe only for 1.200people at the time (which is almost intimate compared with the Festival attendance). 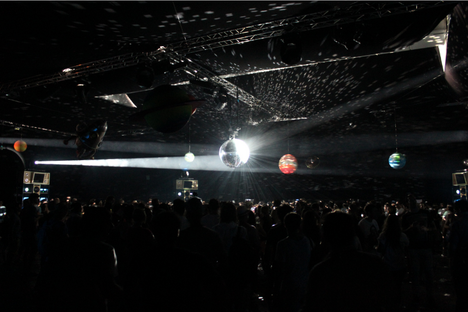 Murphy and 2manydjs club was empowered with 7 sound systems towers (3mts high each) and a space decorated with disco ball and planets on top of our heads, disco music and good vibes for about 6 hours everyday. 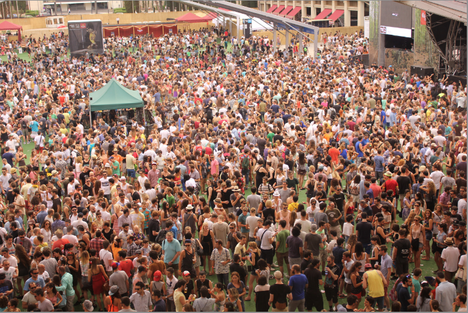 Fantastic idea, it was like an independent republic inside the Sónar country. 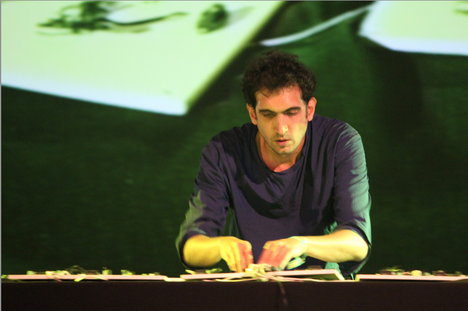 Back to the Complex for the Lebanese Tarek Atoui Live performance, where using instruments made by itself created a really interesting palette of sounds organics and abstract. Music that was related to art and sound experimentation with a simple but eloquent place in scene. 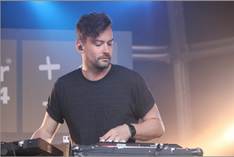 By this time, the SonarVillage was a party, and that was increased by the performance from Bonobo. Big band on stage with vocals from heaven and detailed tunes. 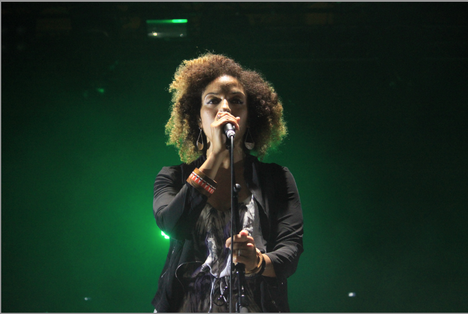 The band from Ninja Tune was on fire with by Simon Green on control, and a group of talented musicians and especially the singer that gave a subtle color to the music. 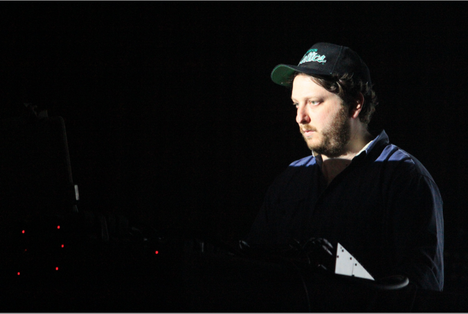 Again we run to the Complex to see the American Daniel Lopatin, with his Oneohtrix Point Never project. 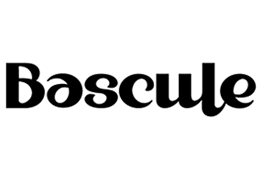 The artist supported by great visuals that gave a sensation of baroque mix of surreal spaces and decadent futurism was a perfect combination with his polyhedric sounds and pulses. Lopatin seems to be in a really special place between the hyper-modernism with ancient aesthetics touches, the internet culture and the sound experimentation. Brilliant performance. 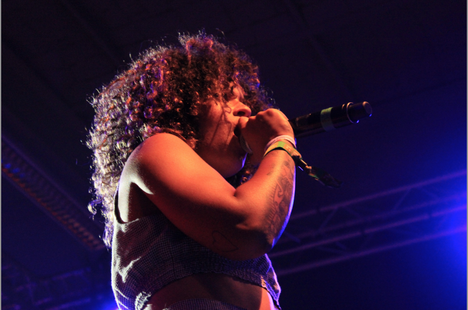 Yes, but Sónar is party and it was already the night so people wanted to shake the body, and no other better performance that the one at SonarDone where the Red Bull Music Academy presented the flamboyant mix of kuduro, cumbia, electronic reggaeton from Buraka Som Sistema. This 4 guys are just party starters, they are the fire that people need to explore and shake, and sweat through the beats. Party Time started! 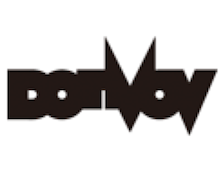 So, the Sonar Night was on, ready to start hard at the catedral which is the SonarClub with the live show fusing two explosive artists, the Norwegian duo Röysksopp with the Swedish star Robyn. 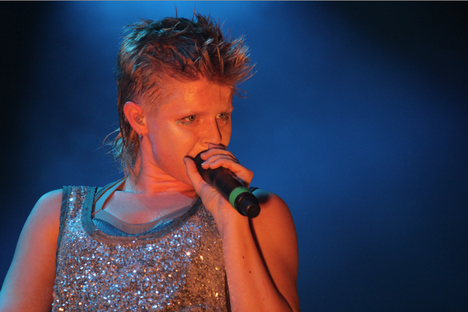 Yes, this was the mix and it was killer, Robyn was so energetic and explosive, even a bit sexual in his movements, this was the show that everyone expected for start the journey at Sonar by Night electronic pop at his best. 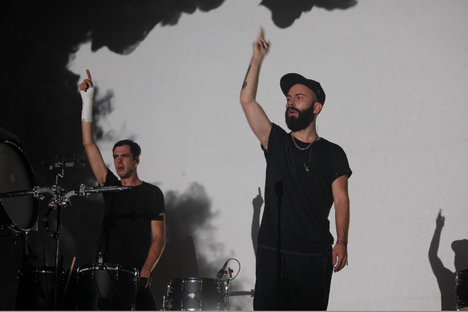 One of the big surprises, not by the quality of the artist which is clear and obvious, but by the people reaction because It was epic, was the performance by the french artist Woodkid, an army on stage blasting the drums and percussion and supported by powerful visuals was a strong and memorable performance with drama, and melancholic moments, dark atmospheres and military drum beats to exciting moments all in one, Wow!. That performance was a warm up for the most danceable part of the Night, the moment of craziness and party. 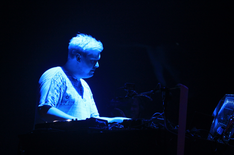 This time at the SonarClub for the EDM maximum with Flux Pavilion first Djeing hits like first and then the Live show by Pretty Lights, samplings, scratching, dirty bass, neon lights and total extasis for this first Nightt !!!. For the first time in years, this Saturday seemed like Sónar was started a week ago at least, so many epic shows, so much fun, it was incredible we still have one more day …and night! the day started with no other than Neneh Cherry together with RocketNumberNine. 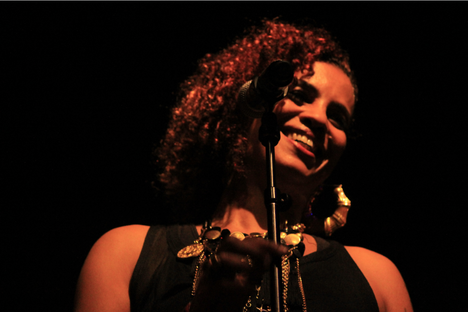 Yes, Neneh Cherry is back from a really long time with a new record “Blank Project”, Neneh came out strong but subtle, to delighted us with that unique voice she have. A beautiful mix of pop. soul and space-dance for the new era of this diva. 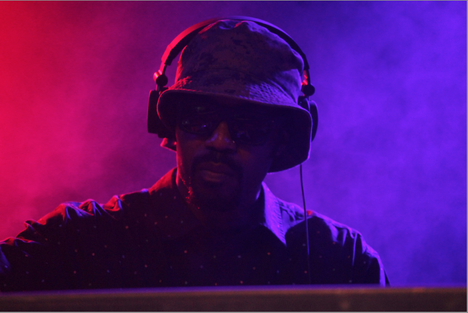 Yes, one of the all time favorites of Sónar, the people and everyone who like the old school magic of Dj Scratch Master on the turntable with vinyls. Kid Koala without any respect for the heavy sun at the Village stage dressed in his cute cartoon Koala suit and speaking in Catalan for the delight of local attendance and as usual giving a master class of making magic at the turntable and with surprises like cabaret dancers on stage. 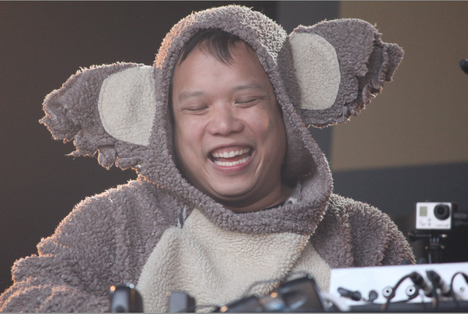 Koala performed his favorite hits, his mom and daughter favorite hits, including the beautiful “Moon River” was beautiful, funny, total happiness… he also jumped from the stage to perform surrounded by the audience, Fantastic, always Kid Koala! The SonarDome by Red Bull Music Academy hosted the boogie-funk from L.A with Dâm Funk, the artist had some technical problems at the beginning and the people started to fear his show wasn’t gonna be as expected, but that was not the case, despite of the problems, suddenly everything started work perfect and the artist bring the house down with his unique classic electro funk style. Galactic electronics beats from the king of synth funk. 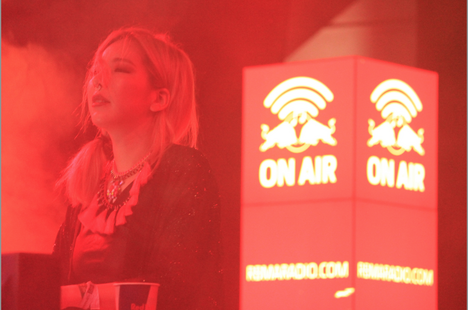 Right after at the same stage Los Angeles DJ/producer TOKiMONSTA presented his fresh vision of dance music and beats from her laboratory and it was the kind of set that people needed at that time to get ready for the Sonar by Night last day. TOKiMONSTA seemed really excited about the people response because the Dome has packed but everyone was dancing through the Beats. After this, it was time to run to Sónar by Night because it was the day of Massive Attack, but before we left the Day, I will like to say that this 3 days were incredible in diversity of music and proposals, the second year of the new space at the Fira is a great success and the SonarComplex Auditorium presenting the most avant-garde and unusual music shows and sound experimentation have being the best of recent years. So here we are, Massive Attack and there is not better description of this Live show than the name of the band itself. Massive pleasure, elegant and powerful, without any excess but not simple, complex but accurate, with sound and visuals matching perfectly. A great band that have influenced so many musicians and with some anthems in our heads. A great experience to listen, to watch and to remember. 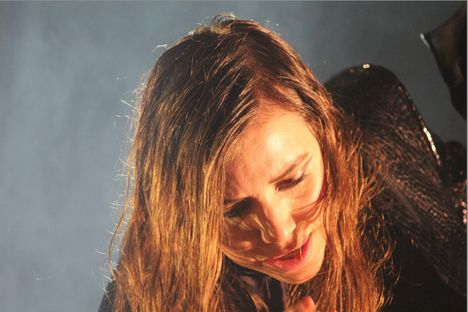 Sensual, delicate and elegant was the presentation by Lykke Li and her new album “I never Learn”. 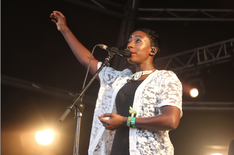 She “learnt” how to captivate the audience in a moment where the party was in the head of the people, everyone seems to surrender to her vocal timbre and charismatic presence in scene. Beautiful show. 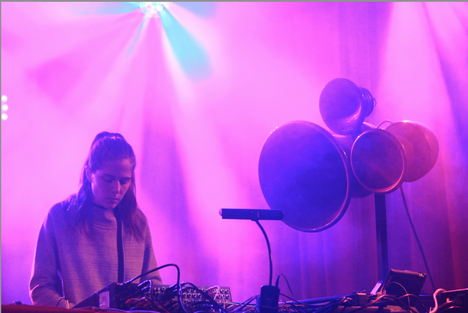 It wasn’t at one of the main biggest stages, but at the SonarCar, really near to the people (and there was so many people at that time) who knew that Laurel Halo is special, that it was the perfect show at the perfect time before you get involved in the massive dance, party wildness. Laurel Halo Live was unique and its always like a new experience to see her Live. She looks so calm down and confident like she is playing at her house but bringing the roof upside down. And yes, this is the concert that make everything upside down and reminded us, that the good music made by good musicians is more powerful and pure than any electronic, computer, plugging music. CHIC feat. 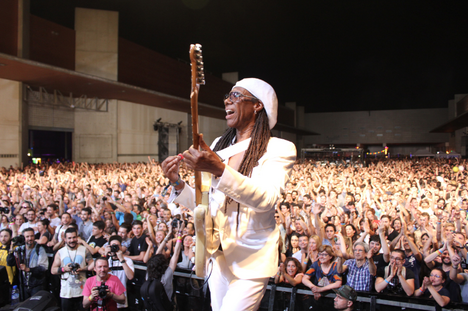 Nile Rodgers. 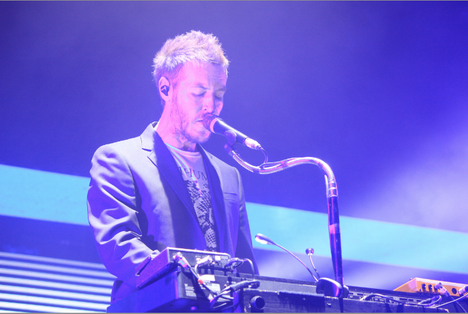 They performed at Sónar in 2006 and I was there as always, but I didn’t expect this time was so incredible good. 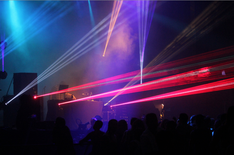 2006 was already good but this time was epic, I don´t know the difference, but there was something different and they make a killer set, everyone in the huge SonarPub stage knew the beats, the lyrics and the whole songs and that was a party! 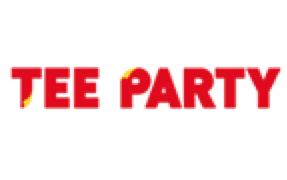 that was A PARTY! I really don´t know how but I ended up dancing on the stage the last 2 songs with a big group of people while this glorious cult band was playing and after this I though it was time to go home. This is already the best it can get!!! So after more than 8 years that I´ve been covering the festival with article and pictures, every year is getting better, and as im not a teenager I mean this music wise, in terms of organization, the space design, the wonderful press department of Sónar and of course the excitement that every year the festival manage to improve.